DVT provides a quick and easy way to waive compilation problems from the editor. 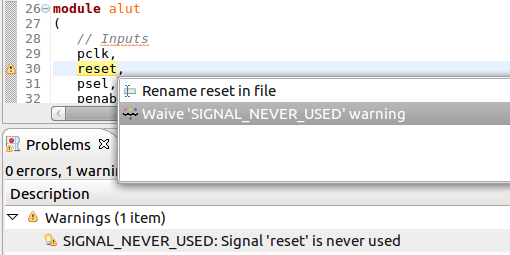 Place the editor cursor inside the problem highlight range (squiggle underline) and press Ctrl + 1, select Waive ... from the list of proposals and press Enter. 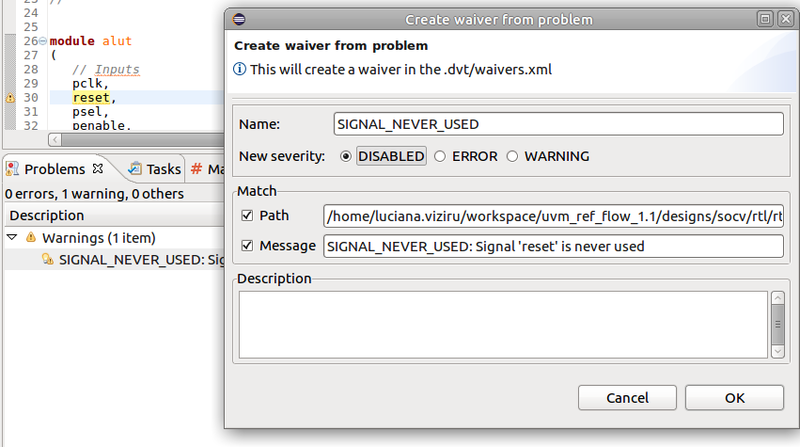 You can change the default waiver severity, description, path and message in the pop-up dialog. Press Enter when done. The new waiver is automatically added to the .dvt/waivers.xml file and applied.